If you need a break after a day of celebrating Pride, consider hosting a few friends for a refreshing summery beverage like this “Madras Slushy.” It was shared by the mixology experts at Stirrings — those purveyors of fine mixers always aiming to make it easy to stir, shake and sip delicious cocktails. Featuring vodka, cranberry and orange, this refresher is a fruity way to cool down after a hot Pride. Coat the rims of two cocktail glasses with the Cosmopolitan Rimmer. Set glasses aside. In a blender, combine all of the remaining ingredients and pulse until ice is crushed. 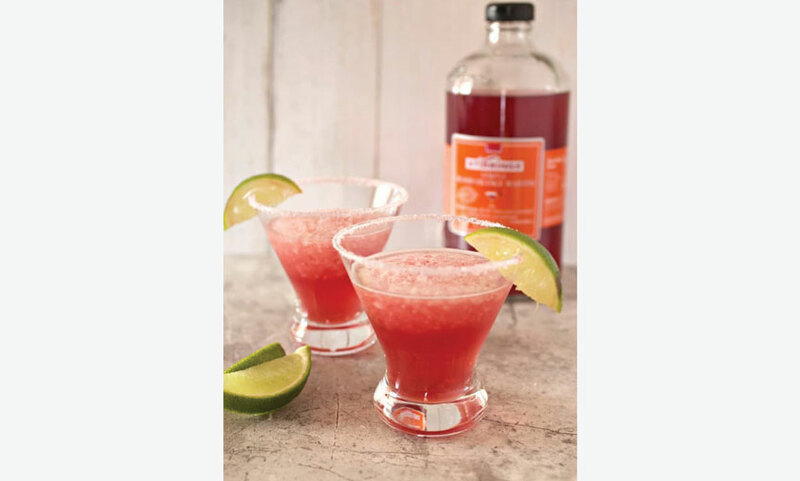 Divide mixture between the two prepared rimmed glasses and enjoy!.